Ahhhhh……Spring is in the air! I love March and April. They are absolutely the BEST months to live in Southern California! The weather is just gorgeous-sunny and warm during the day (it was HOT today!) but the mornings are cool and the evenings are perfect for sitting outside. We don’t have to use the a/c yet because we sleep with the windows open to cool down the house overnight. Along with bringing in the new season, March is also National Reading Month. The older two boys have been participating in all sorts of reading activities for school so Charlie and I spent a fun afternoon reading and crafting! We read about Curious George and his exciting hot air balloon ride over Mount Rushmore. We have a large collection of kids’ books, but when we got a Kindle e-reader for the older boys, Charlie was a little jealous, so I found some new books under his FreeTime profile to read to him. He really likes Curious George. 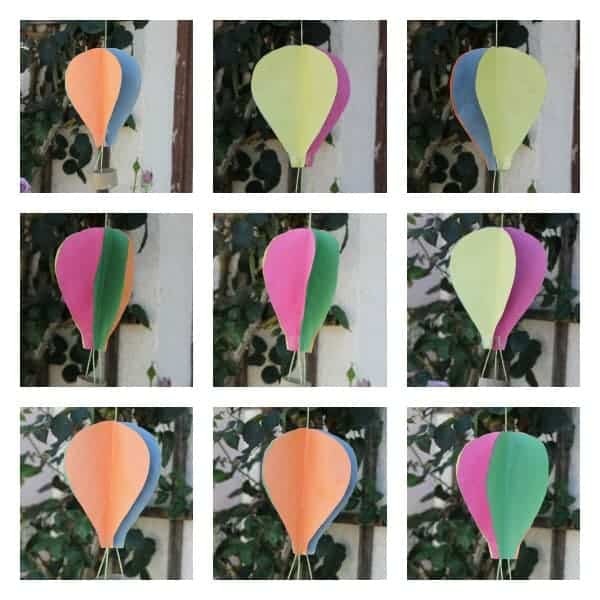 The story reminded me of something I had pinned from Crafty Morning for creating 3D hot air balloons. It seemed like my kind of craft-no special supplies necessary, quick to put together, and fun! 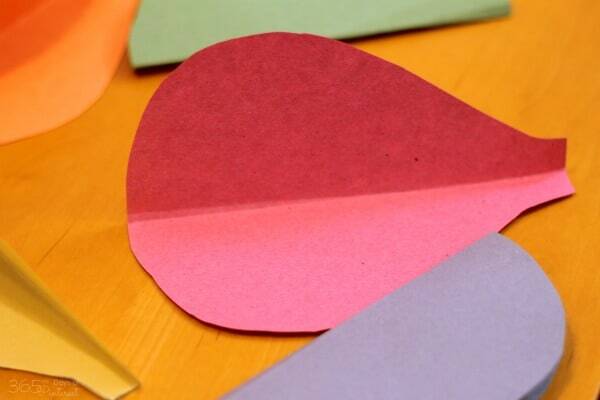 Fold them in half, lengthwise, and then glue the outsides together one color at a time until the “circle” is complete. Cut the end of a toilet roll tube off and tape two pieces of string to the inside of the tube. Tape the other end of the strings to the inside of two of the balloons. 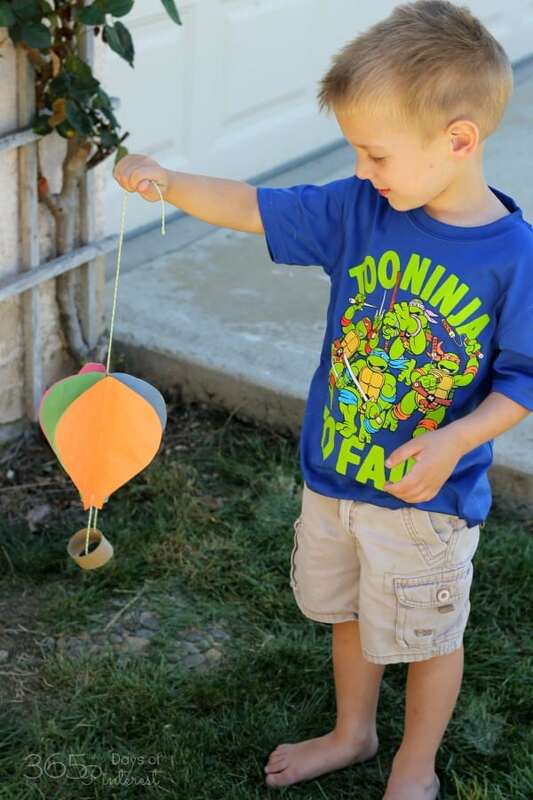 Cut a long piece of string and tape it in the center of the top of the balloon. (I just kind of shoved it down inside and taped it anywhere it would stick. What do you do to encourage your kids to read? When I was a kid, I devoured books- there was no need for my parents to push me to do it. I would hide in my room hoping no one would bother me so I could finish. I don’t know if that’s a “girl” thing but I don’t really see my boys doing what I did. So have you got any “tricks” to help your kids love to read? These are so cute, would’ve been perfect or my WIzard of Oz party! Great craft! Sounds like fun! 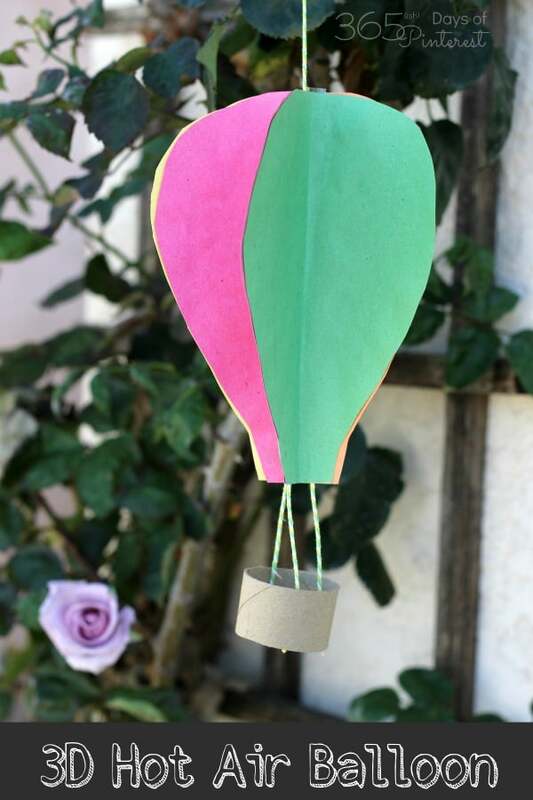 My daughter is on spring break this week, and this would be a great craft for her! 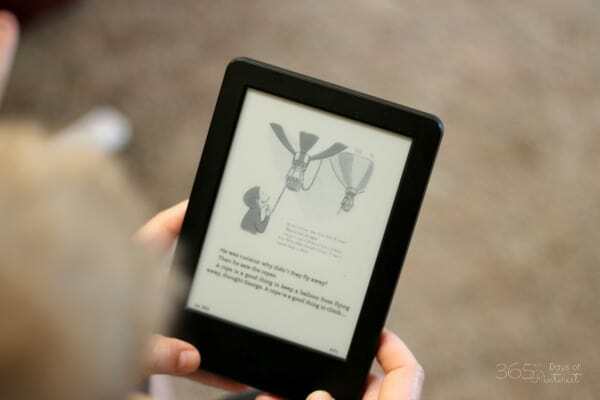 We got our kids (6&3) kids edition kindles w/ free time and they LOVE them. My son is just learning to read so he is really enjoying the books on his.